Change in the mining industry is inevitable. In order to turn change to progress, it must be given direction and managed properly. 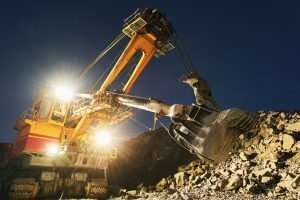 Many mining companies have found that change management is a hurdle far bigger than they had anticipated. In this article, we will discuss three change management strategies that are sure to usher mines into a smooth digital transformation. Change doesn’t have to be scary; with proper management it can usher in prosperity that would have been impossible otherwise. Successful change management requires a large commitment from executives and senior managers. This holds especially true when the changes are as drastic as implementing new technology. What to Expect From Senior Leaders During Change – Leaders need to establish a clear vision for what the company will look like following the change. Make sure this vision is realistic and attainable, otherwise it will do more harm than good. Appoint someone to make sure other executives remain active and invested in the change, adopting new change is a team sport. It is impossible to succeed without everyone getting involved. Most importantly, pay attention as the changes occur. Talk to employees and find out how they are feeling. Is there anything that leaders can do to make the changes more smooth for them? Do they have an idea that management overlooked? Collaboration between management and employees is essential. Finally, be human. Management must understand that change is difficult for everyone and work to pull each other into the future. This way, leaders ensure that no one is left behind in the dark. It difficult to receive support from someone on a decision they were not involved in. Worker involvement is where most companies tend to struggle with change management. It is incredibly difficult to receive one hundred percent support from someone on a decision they were not involved in. Workers may feel as though they have no voice, or worse, that they are being treated like children. What to Expect from Workers During Change and How to Involve Them – The most important thing to understand about workers during change is this – if you do not involve them, you should expect resistance. While it is obviously not practical to involve employees in major decisions about change, it may be beneficial to involve them in decisions regarding their unit or department. This makes them feel as though they are involved in the change and not just being drug along. The key is, involve workers from the beginning. If you begin the process of change without involving workers you risk substantial damage being done to overall morale. There is no feeling stronger than fear, and there is no fear greater than the fear of the unknown. Workers are human, and oftentimes creatures of habit. With this, comes the fear of change. In order to ensure smooth change management its important that participants receive proper training. How To Ensure Proper Training for Participants – In order to ensure proper training for participants, its critical to do business with a company interested in working with you long-term. Find a company that tailors its solutions to your business and will support you as you implement it. If they provide educational materials to learn about their software and how it works they can be valuable tools to help employees understand changes that are coming. Furthermore, focus on training managers how to properly instruct employees. Make sure managers understand they need to be available for answering questions and dispelling fears as soon as they come up. Finally, it is of the utmost importance that managers are tuned in to the feelings of the workers as they go through training. Any rumors that may begin about what changes will bring need to be addressed immediately. rapidBizApps is one such company that works with clients and provides learning materials.